Kano state government has commenced construction of 10 modern and fully equipped auto mechanic centers across the three senatorial zones of the state as part of effort to provide employment for its teeming youths. Three of the centers have been completed while seven are at various levels of completion. The state governor, Dr. Abdullahi Umar Ganduje made this while receiving executive members of the state branch of Nigeria Association of Automobile Technicians, NATA, visited him at the Government House in Kano. He said the centers were designed to accommodate the youths sponsored for training by the state government at the Peugeot Automobile, Kaduna, and especially to provide services for modern vehicles. Noting that modern vehicle models used in the country require specialized mechanics to repair them, the governor lamented that road side mechanics could hardly service computerized vehicles to the satisfaction of their owners. “Therefore, we sponsored 75 youths to Peugeot Automobile, Kaduna learning center and all of them are now employed. The second batch of 150 youths comprising male and female youth have graduated successfully and are on their own now. Our target is to have at least 1, 000 indigenes of Kano as auto mechanics”, Governor Ganduje asserted. “Equally, the construction of our ultra-modern Integrated Skills Acquisition Center, at the cost of over N1.5 billion, has reached an advanced stage. The center when completed and fully equipped will provide training ground for several trades, including automobile repairs”, he stated. 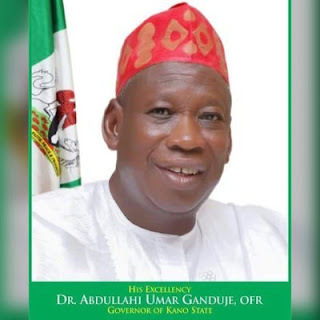 He stated the center, which is the first of its kind in the country would be commissioned by the President by the end of this year, pointing out that it would it would be an opportunity for youths in Kano to become economically independent. On the proposed mechanic village in the state, Governor Ganduje promised the contention surrounding the plot originally allocated for the project would be sorted out, so that it can take off in earnest.